Just before Christmas, I was very honoured to be selected as a beauty blogger to review Xen Tan’s newest product – Scent Secure Gold. Only 3 of us tan-fanatics were selected, so it was a privilege to be one of the first people to get my hands on this wondrous product. If you read my last post on Xen Tan, I was raving about the original Xen-Tan Scent Secure product. So your probably wondering whats the difference with this new one? Scent Secure Gold is a moisturising, tinted skin bronzer with a difference. It can be used to add a subtle glow to skin, whilst nourishing and hydrating, or it can be used over your weekly self tan to deepen your colour and enhance. 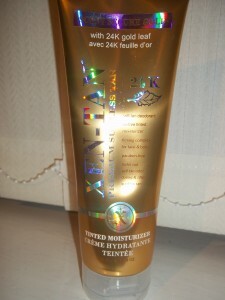 Not only does the tan’s metallic gold packaging make this product look prestigious, the lotion is laced with 24k gold leaf, a unique and luxurious ingredient that melts into skin giving you a soft, shimmering look. When I used this product on my skin for the first time, the shiny gold particles reflected in the light and gave my whole body a beautiful golden look with that added shimmer every girl wants for an evening out! The best bit about this product is that it washes off, so it’s great to use for any up-coming parties or occasions where you really want to enhance your tan. 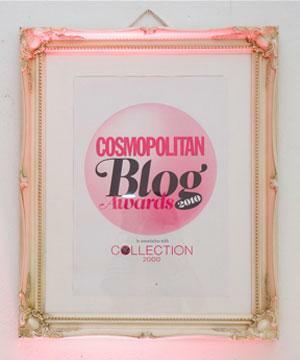 And of course, it looks natural, because that’s the main thing we want out of every self tanning product, right? 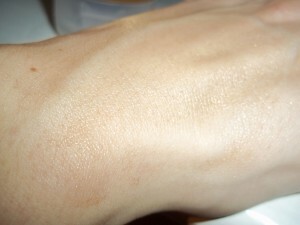 It’s golden shimmer is subtle enough to give the right glow and avoid any false tanning tell tales! 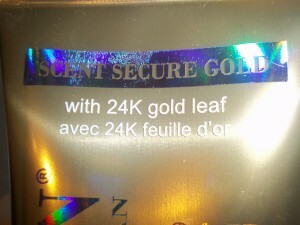 As with the other Scent Secure product I reviewed here a while ago, Scent Secure Gold locks out unpleasant false tanning smells with fresh, summer scents, which makes the product much more enjoyable to use! I love how a teeny tiny bit of this product goes a very long way too – meaning this beauty favorite is going to be a staple piece in my beauty cupboard for a long time to come! There are only a small number of Scent Secure Gold available for now, priced at £26.99, and it properly launches next year, so why not be the first of your friends to own 2012’s most special tanning product?